Let's start the review by saying that I love a good mind-bender. Nothing I love more from a movie or TV show or novel than to have my head screwed with and put on backwards by things that leave me scratching my head. That said, Eclipse is a haunting and well-written story that had twists I've never seen before, and still wonder about. 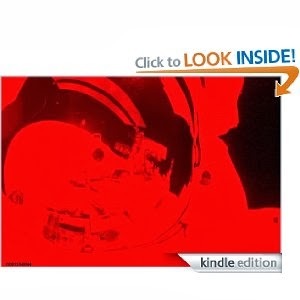 The story starts out with Claudius, an astronaut floating alone in space, having ejected from his spaceship before its destruction. Who the astronaut is, why he's out in space, and what happened to his ship, are all questions explored in flashbacks. What's clever about this story is that it starts out fairly straightforward and becomes more and more complex. You realize that Claudius isn't all he appears. Things start happening that had me reading sections over multiple times, thinking I had read them wrong. Then I went back to re-read some passages I'd read earlier to make sure I read them right as well. Then I went back to read again, growing more and more bewildered. The main character of Claudius is very well-defined. We find out his haunted past, and it paints an agonizing portrait of an abused child. The other characters in the story aren't as detailed, but later events kind of explain why. I have no doubt that Pagel would have been able to conjure up more details if he chose. I can't say too much else about the story without spoiling it, but I will say that I think I have to read it over again, because I was left stunned by the ending. I feel like I missed something, and was left confused. Eclipse isn't a story that spoon feeds you answers, but it does leave you questioning truth, reality, and the standard tropes of sci-fi. Recommended.